Neuhaus’s heart-shaped boxes feature a limited-edition romantic design. This 28 piece heart gift box offers a selection of our most beloved Belgian chocolate pralines in dark, white, and milk chocolate. 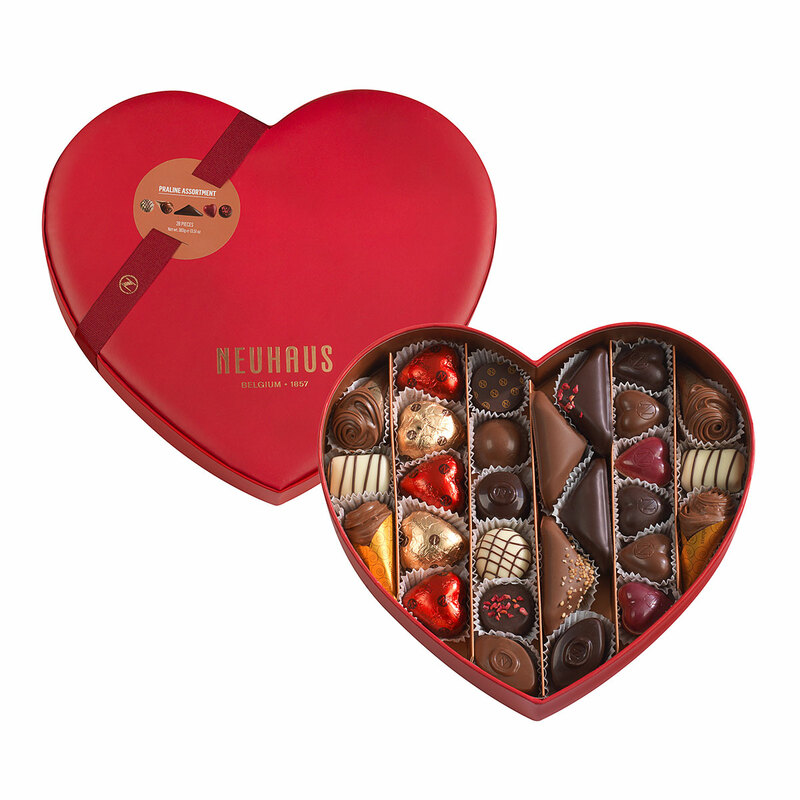 It also includes our 2019 limited-edition duo-flavored hearts: Dark Chocolate with Colombian panela sugar, salted butter caramel & white chocolate ganache, Milk Chocolate with Madagascan Vanilla gianduja and vanilla-infused caramel, and red White Chocolate with milk chocolate ganache infused with green Yunnan tea & bittersweet dark chocolate raspberry ganache.